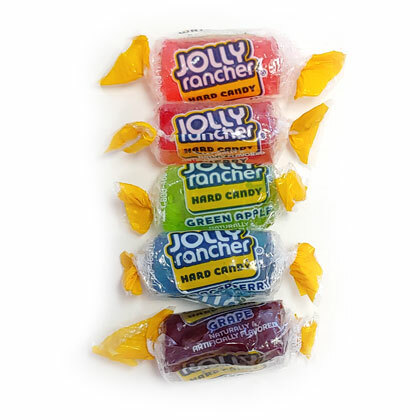 Delicious individually wrapped juicy hard candies in an assortment of cherry, apple, watermelon, grape and blue raspberry. Individually wrapped. Approx. 4 pieces per ounce. 11 oz.